LaGG-3 “For Soviet Georgia” Fighter of the 66th production series with the tail number 932. 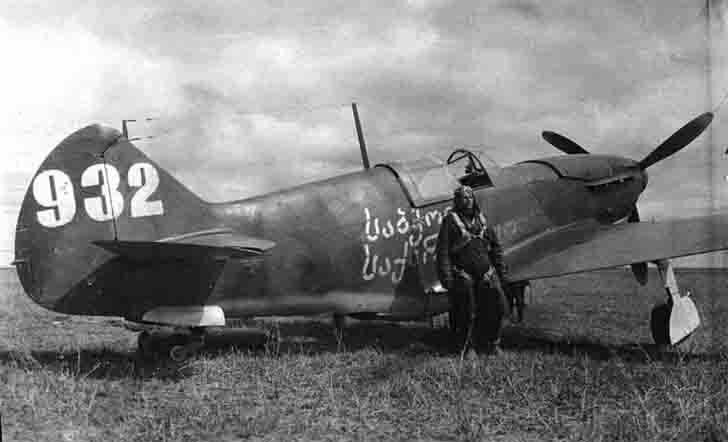 The 88th IAP (Fighter Aviation Regiment), the North Caucasus, summer 1943. In the 88th IAP we had planes that were bought with the money of the working people of Georgia. On the side of the fuselage LaGG-3 fighters in Georgian was written “For Soviet Georgia” ( “Sabtchota Sakartvelo”). It is extremely unusual for the Soviet Air Force three-digit number, as well as the place of its application – vertical tail.